We are quality focused firm and our main motto is to provide excellent quality products to our renowned customers. Our complete product array of Lister Diesel Engine and Spare Parts, Hand Pump and Spare Parts, Pump and Spare Parts, Agriculture Hand Equipment, Pipes and Clamps, HVP Bearings, UPVC Fittings, Wrench Tools, etc are manufactured at par with set international standards by making use of world class Unplasticized polyvinyl chloride that is sourced from the honest and reliable sources of the industry. 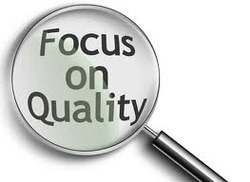 In addition to this, our quality experts conduct meticulous quality testing process to assure that the finest quality products are delivered at clients' premises. Client satisfaction is the main motive of the firm and to meet it, we offer the best quality products to them. The products provided by us are manufactured as per the specific requirements of the patrons by utilizing world class Plasticized polyvinyl chloride and sophisticated technology. Owing to our client centric policies, competitive price structure, easy payment modes and on-time delivery, we have attained a long list of satisfied customers. To meet the wide needs of the customers, we provide these products to them at pocket friendly prices within committed time frame.